Decisions, decisions. TSA, you tease. Small snow globes will receive a reprieve from the list of excluded items you can carry on a plane this summer, according to the Transportation Security Administration. The trinkets now fall into the same no-no category as box cutters and knives — unless they are stored in checked luggage. TSA says all of that will change and soon. 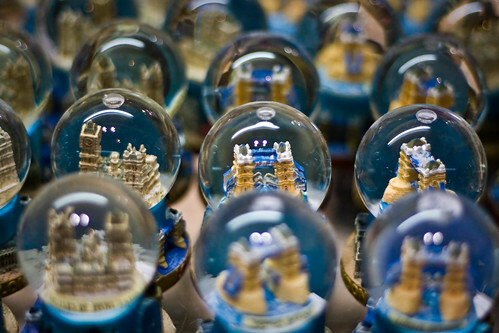 “Later this summer, TSA expects to begin allowing small snow globes in carry-on luggage when packed in a passenger’s plastic 3-1-1 bag,” the agency said in a statement. Note that size matters in the liquid-filled objects. Now the question is what to ditch from the 3-1-1 bag to make room for snow globes: deodorant or toothpaste?